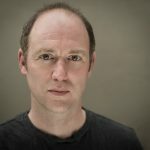 Helping me considerably with my southern Irish accent, Michael Dylan also brings his wit, charm and considerable talent to PITPOD this week, and what a joy it is. It’s time to sit back and take an hour out. I hope you enjoy our chat! Remember that you can support the show quickly and easily by clicking this link. 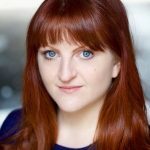 Come and join me as I chat all things theatre and much more with the delightful Karen Fishwick, star of Our Ladies of Perpetual Succour, Glasgow Girls and most recently, the RSC’s Romeo and Juliet. Click here to pledge in support of the podcast! 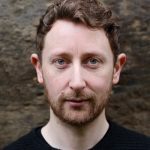 With a CV that bursts at the seams with worldwide theatre credits including Wolf Hall, The James Plays, This House, Midsummer and most recently, Local Hero, Matthew Pidgeon is a welcome addition to the PITPOD collection! He joined me in the wee Knightswood studio to talk all things theatre and acting, and even a little spirituality thrown in for good measure. 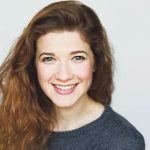 Celebrated writer of “A Play, A Pie and A Pint”s current offering, Aye Elvis, whilst having one of her early plays rehearsing in Perth ahead of a major Scottish tour, it’s high times for Morna Young. But she made time to pop by and tell me where it all started for her and what a great chat we had. If you want to join us, just hit play. So simple! Click here to become a patron for a few pounds!